The Gothic tradition continues to excite the popular imagination. John C. Tibbetts presents interviews and conversations with prominent novelists, filmmakers, artists, and film and television directors and actors as they trace the Gothic mode across three centuries, from Mary Shelley's Frankenstein, through H.P. Lovecraft, to today's science fiction, goth, and steampunk culture. 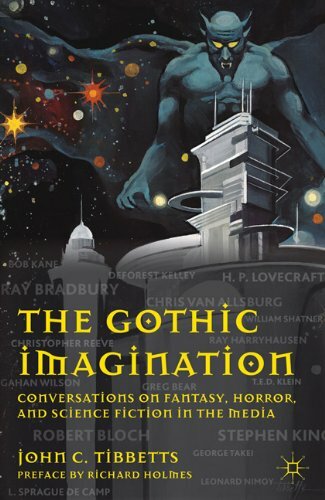 H. P. Lovecraft, Stephen King, Ray Bradbury, Robert ( Psycho) Bloch, Chris ( The Polar Express, Jumanji) Van Allsburg, Maurice Sendak, Gahan Wilson, Ray Harryhausen, Christopher Reeve, Greg Bear, William Shatner, and many more share their worlds of imagination and terror. John C. Tibbetts, Lenexa, Kansas, is associate professor of film and media studies at the University of Kansas. His recent books are The Gothic Imagination: Conversations on Fantasy, Horror, and Science Fiction in the Media; Composers in the Movies: Studies in Musical Biography; Schumann: A Chorus of Voices; and the three-volume American Classic Screen.